The One Button Studio is open as of November 30, 2015 and is located in 1 South of the Northwestern Library. 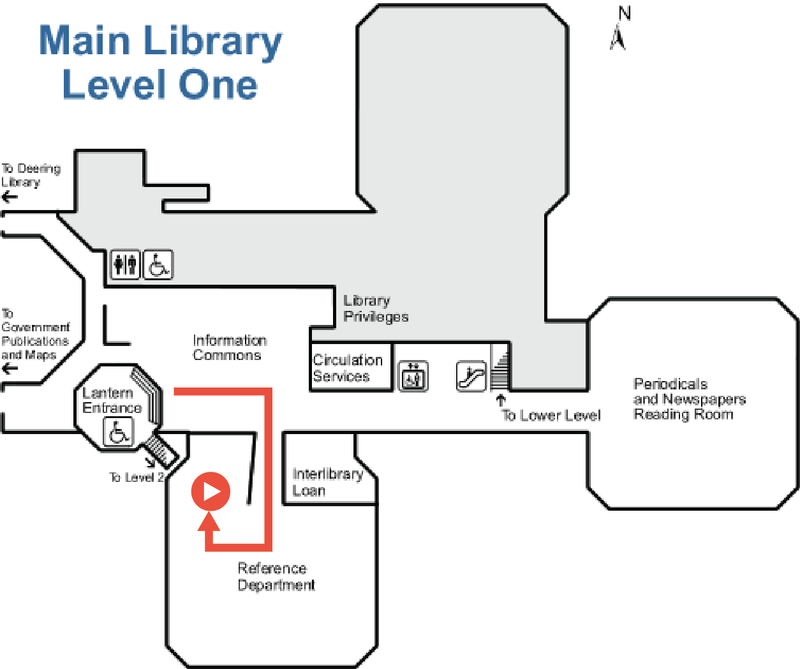 It is free to use and can be reserved at: http://northwestern.libcal.com/booking/1button in half-hour intervals. Remember to bring a USB drive to store your finished video! Reserve the One Button Studio in 1 South. Bring a USB drive with at least 500 MB free space. Place the USB drive in the Recording Computer’s USB drive. Lights and camera should come on. Hit the button to start recording. Hit the button to stop recording. Wait for the Recording Computer to render the video onto your USB drive. When it indicates that it is finished, remove your USB drive. You can edit your video on your computer or library computers using iMovie, QuickTime, Adobe Premiere, or Windows Movie Maker. No need to adjust anything — leave the camera and lighting settings just as they are! Wow! This service is incredible and music students need it desperately! Would a musician be allowed to record themselves playing their instrument? These days, every application to a graduate program, to a summer music program, a job application– they all require a pre-screening video! According to the music students I talk to, the biggest problem they face is finding space to record, and the second problem is acquiring the necessary equipment. Could we close the gap between the bottom of the door and the floor? There was a little sound bleed from people in 1South using tables near the studio. Could we put a lock on the inside of the door? This would keep patrons from being interrupted while they were recording. If someone does record themselves playing an instrument in there, and there is significant sound bleed into 1South from the studio, would it be possible to add more soundproofing material? We think so too, Catie! 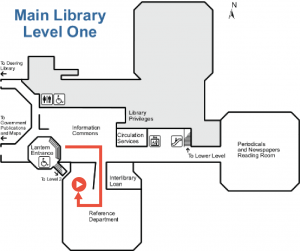 Current plans are to have one in Mudd Library after its retrofitting. If you know of anyone in Music who has a space that can be turned into a One Button Studio, let us know. We think it has a lot of applications and would love to see it fit the community’s needs more.